A source claims that Warner Bros. is thinking about bringing Batman back to television, but not in a campy way. A live-action Batman television show starring Adam West ran on ABC in the late 1960s, but the caped crusader has only been seen in cartoon form on TV since then. An anonymous source is now saying that Warner Bros. wants to bring Batman back to live-action television after his next film debuts. When Christopher Nolan's The Dark Knight Rises eventually is finished earning its hundreds of millions of dollars, Warner Bros. may be looking to bring Batman from the big screen to the small screen instead. The source tells Comic Book Movie that Warner was inspired by the success of shows like Smallville and wants to do something similar with Batman. The talk on the project is said to be extremely early, but the source says the people swirling around ideas about it want to stay along the lines of Nolan's movies while catering to young adult audiences. The source's big news is that the show will likely feature a "completely new version" of the Joker. This would be Warner Bros.' way of remaining respectful to the late Heath Ledger, who played the Joker in Nolan's The Dark Knight and passed away in 2008. Warner reportedly believes that the Joker alone would "garner ratings through the roof." The type of person mentioned to play Bruce Wayne so far has been someone of the "type" of Karl Urban, the actor who played Dr. McCoy in the recent Star Trek reboot. Again, this is very early talk about a series that isn't even remotely confirmed yet, despite some of this information making a bit of sense. I really can't imagine Batman being turned into Smallville, but maybe I just don't have the vision. 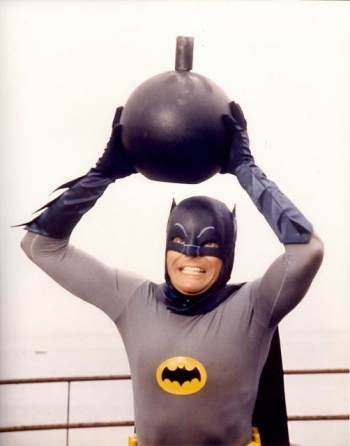 I can, however, see a live-action Batman show working again on television if written properly.